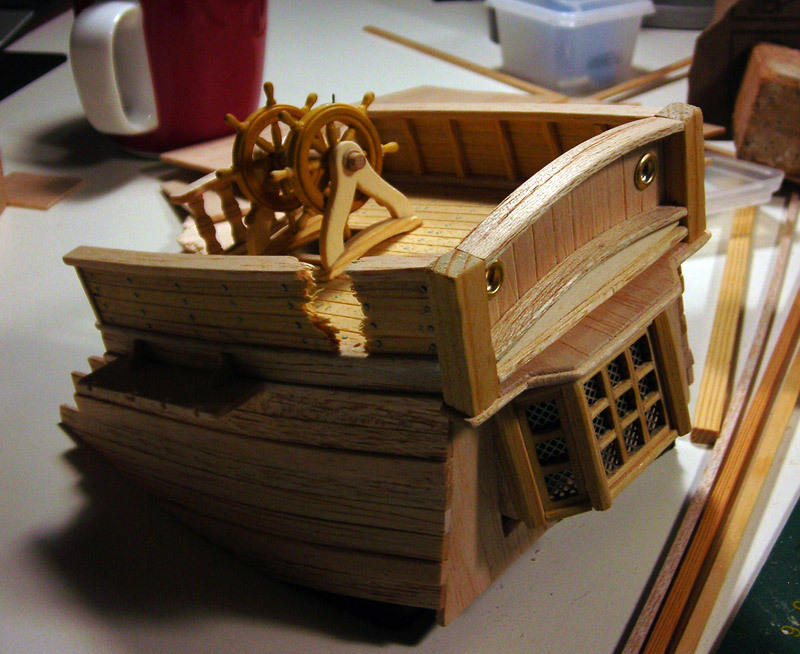 Is that scratchbuilt, or a prefab model ship? If the former, what's the rudder wheel from? The wheel is from a model-ship-online-store.